You are here: Home New Equipment A NEW CONE CRUSHER JOINS THE FLEET! A NEW CONE CRUSHER JOINS THE FLEET! 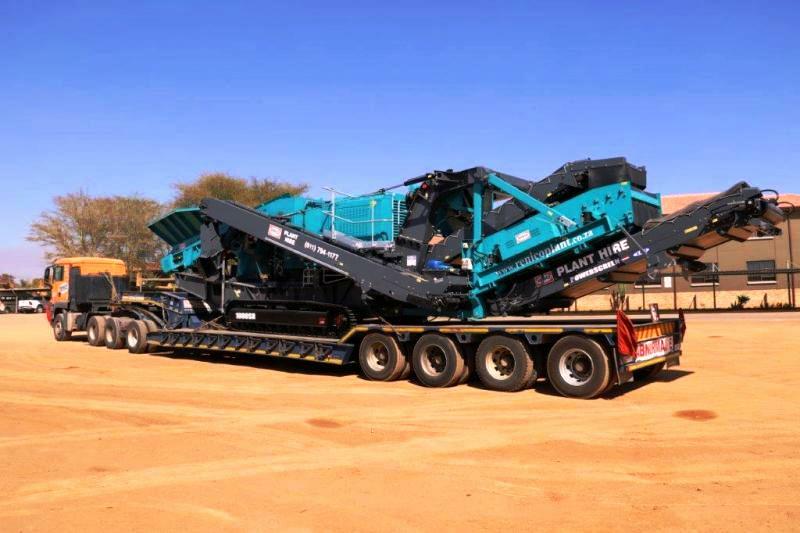 Renico Quarrying & Crushing has taken delivery of a new 1000 SR Cone Crusher supplied by ELB Equipment. 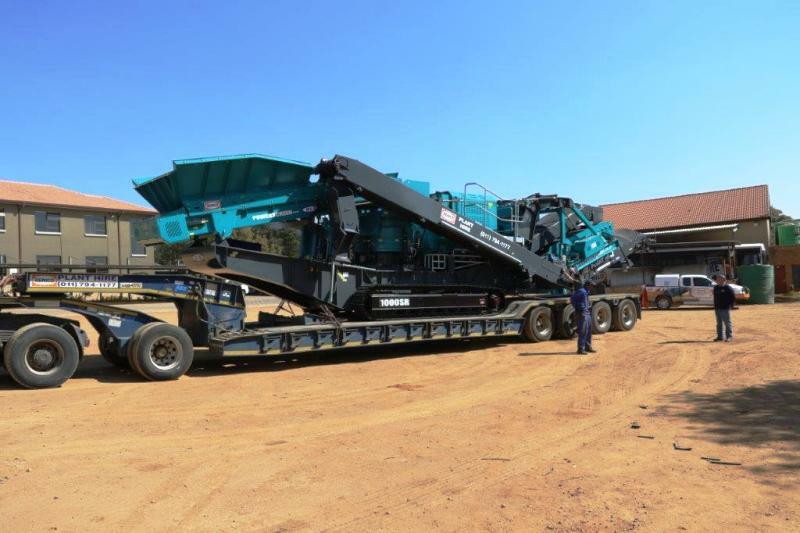 Shortly after its arrival, this new Cone crusher was sent on its way to the Northern Cape. There it will be put to use on one of Renico’s large quarrying and crushing operations to create G5 aggregate for the 80kms of new roads being constructed in the area. 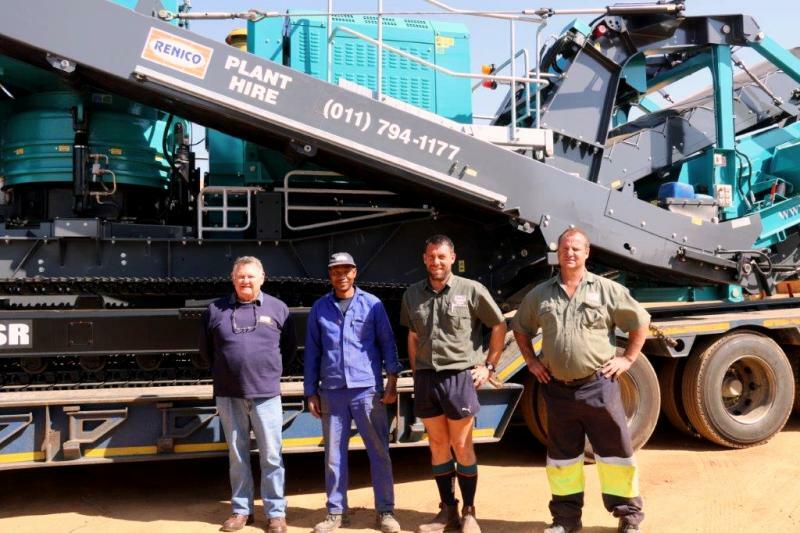 Gert Brits and Tom Sindon of the Renico Quarry and Crushing team ready to accompany the new addition to its destination following its final check by the Renico workshop manager and his staff. RENICO’S NEW 17000 LITRE DIESEL BOWSER INCREASES PROJECT EFFICIENCY! NEW ARRIVALS AT RENICO PLANT HIRE! Renico Plant Hire reaches New Heights! ←RENICO’S NEW 17000 LITRE DIESEL BOWSER INCREASES PROJECT EFFICIENCY!